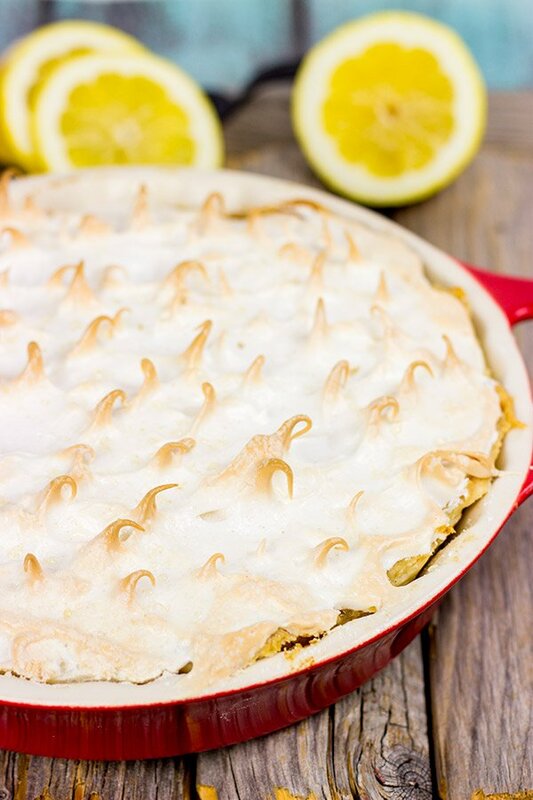 This Classic Lemon Meringue Pie is a delicious combination of tart and sweet! So my birthday was last week, and I had a real situation on my hands. It had absolutely nothing to do with turning a year older. Nope, instead it had everything to do with the age-old cake vs. pie debate. You see, I love birthday cake. Actually, love doesn’t quite describe my feelings about a classic yellow cake with white frosting. Lust is probably a better word. But as strong as those feelings are about cake, they might be even stronger for Lemon Meringue Pie. 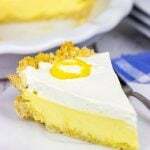 There’s something about the combination of the sweet meringue topping with the tart lemon filling. 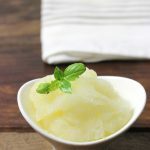 Add in the fact that chilled desserts always taste so good on a hot summer day, and you can see how this debate began! Is anyone else out there afraid of making meringue? I mean actual meringue. Not a whipped cream topping. Well, I used to be afraid of meringue, too. I’d heard so many stories about how difficult it is to make meringue. And then one day I just got into the kitchen and started playing around. I wasn’t making a pie or meringue cookies. I just wanted to figure out how to make meringue. Well, guess what? It’s not as scary as you might think! I did use a bit of cream of tartar to help stabilize the egg whites, but aside from that, meringue is actually pretty easy to make. 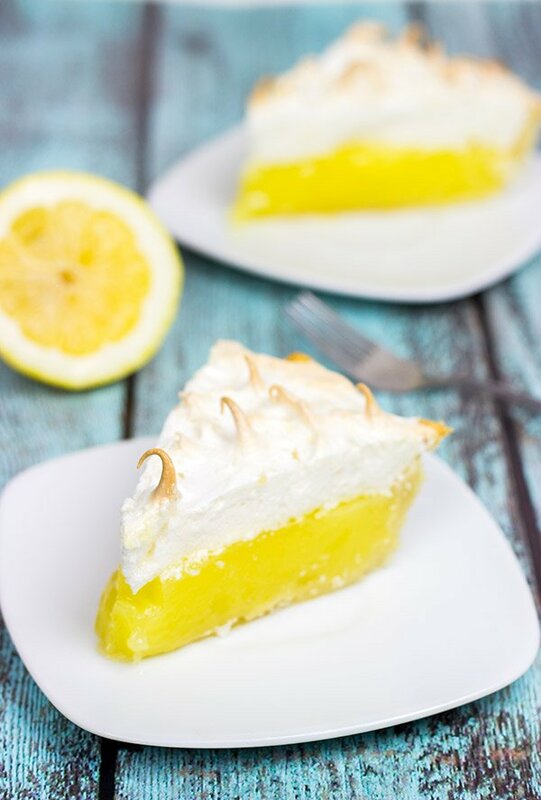 Summer is the perfect time for bright, lemon-y desserts, and this Classic Lemon Meringue Pie is one of my favorites! Oh, and in case you were wondering, I chose both the pie and cake. It was my birthday, and you just can’t tell someone no on their birthday. Go ahead…I dare you. Roll the pie dough into a 9” pie pan. Dock the pie crust (i.e. 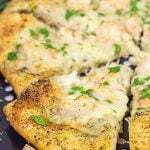 use a fork to pierce the crust in multiple places) and bake for 17-20 minutes or until shell is light golden brown in color. Remove pie crust from oven and let cool. In a medium bowl, slightly beat the egg yolks. Set aside. 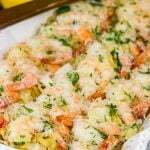 Using a medium saucepan, combine sugar, cornstarch, water, lemon juice and lemon zest. Once mixture begins to boil, gradually stir about ½ cup into the bowl with the egg yolks. Transfer egg yolk mixture back into the saucepan with the remaining lemon juice mixture. Whisk until well combined. Bring mixture to a boil over medium-high heat, stirring constantly. Once mixture begins to boil, cook for 1 more minute, stirring constantly. Remove saucepan from heat and stir in butter. Transfer filling into the cooled pie crust. Gradually add the sugar and continue whipping until meringue is stiff and glossy. Spread the meringue on top of the lemon filling. (Tip: Make sure the meringue is touching the crust all the way around the pie.) Dust top of pie lightly with powdered sugar before baking. Bake for 8-10 minutes, or until meringue turns light golden brown. 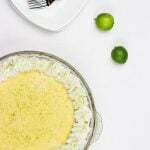 Allow pie to cool to room temperature and then cover lightly and place it in the refrigerator. Seriously though, this pie looks spectacular. Congrats man! 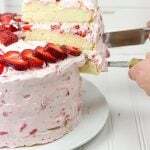 Haha – I share your lust for birthday cake with vanilla frosting David! BTW, Happy belated birthday – hope your day was stellar – just like this pie! Shashi…quit reading this and go make a Lemon Meringue Pie! I can’t believe you’ve never had one. 🙂 They are delicious! Almost as delicious as birthday cake with vanilla frosting. Haha! Good call on having both pie and cake. Especially this pie, as it looks divine! OMG, this is just the perfect dessert for my family! Love that vibrant color and I can only imagine how tasty it must be!! Thank you so much, Ami! This pie is one of my favorites! Happy Birthday! Lemon Meringue pie is my all time most favorite pie. I could eat a whole pie by myself. Haha Maybe I should ask for this for my birthday! Love your recipe. 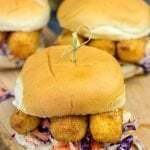 This looks mouthwatering and delicious. Thanks, Zainab! Yes, you would totally rock this pie…I know it! Your macarons are to-die-for, so a meringue pie would be a piece of cake for you. or maybe a piece of pie…you know what I mean! I love that you had both pie and cake for your birthday! That is how I would want to celebrate! This meringue pie looks fabulous! It has been on my list for quite some time! I need to just bite the bullet! Gorgeous photos! David! This looks so so delicious and the most perfect dessert for summer. My dad loves lemon meringue pie and can throw down a whole one if he’s really craving one. I’ve actually never made on myself (I’m more of a cream pie boy myself), but I’m definitely going to have to make this one especially for him. i just took this out of the oven and it looks amazing. Can’t wait to taste it. Wow, this was delicious! I wanted to post a picture but I couldn’t figure out how to. I will definitely masks this again. I made this tonight and it was delicious! I did accidentally miss read and used powdered sugar in the meringue. Lol it was really good though. One question. What can cause liquid residue? Why sprinkle powered sugar on top of meringue before baking ? I have heard of doing that. I always make Lemon Meringue pie for pie contests at church. It’s ALLWAYS the first to be eaten, but never wins…. I really like a Swiss Meringue on top. Your pie looks delish. I will try your filling soon! Lemon Meringue Pies are one of my favorites for sure! It’s nice to meet another pie fan. 🙂 The thing about pie contests is the winners are usually the ones that are crazy over the top…or chocolate. Chocolate always wins! I have another fun lemon pie in the works, so stay tuned for that one coming soon. Thank you so much for commenting, too! 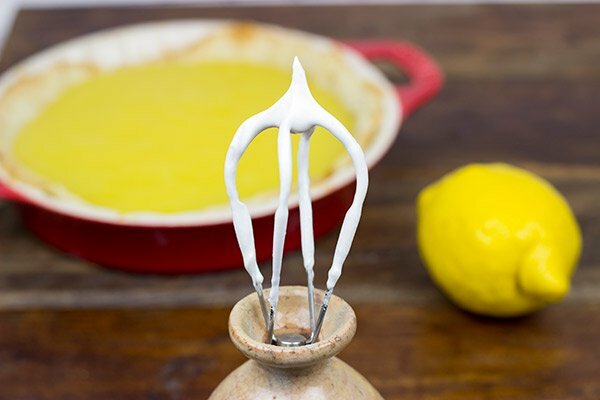 Do you make your meringue first or your lemon filling? Just wondering because it looks like you do the filling & then the meringue according to the recipe, but I was reading the comments about the liquid & you said to make sure the filling is hot and I remember reading another recipe that said to make the meringue first & set aside, then make filling. As you can see I have been researching quite a bit as my son has once again requested this for his birthday & I have yet to have one turn out perfect, either the meringue flops or the filing is not the type we prefer, I like the bright shiny yellow not the kind that looks like pudding. Lately I’ve resorted to just buying lemon meringue pies 😕 but ready to give it another try, yours looks beautiful so gonna try your recipe. Hey there, Chris! So when I make this pie, I kinda do both the filling and meringue at the same time. I usually get the meringue going since it takes a bit of time, and then I focus on making the filling. It’s kinda hard to write that in a step-by-step since it would mean a lot of back and forth…and that would certainly get confusing. Sometimes the filling is ready before the meringue has finished whipping, and that is totally ok…as long as the filling is as warm as possible, then you’re good. (We’re only talking a couple minutes at most here!) Meringues are such a tough one, but this one has always worked for me. Now to be fair, the meringue does get a bit liquid-y (is that a word?) if you leave it for leftovers. It’s best eaten the same day. (Although leftover pie is rarely a problem around here…haha!) Best of luck with this one…I hope it turns out well for you! And wish your son an early happy birthday for me, too. Thanks! Awesome! Your comment totally just made my day, Chris. 🙂 Thank you so much for coming back and letting me know…and hopefully there will be many more lemon meringue pies in your future this summer. Happy Tuesday! This is so good! I forgot the butter in the filling and it was fine. I also had no cream of tartar for the meringue so I substituted lemon juice. It too was fine. Hey Barb! I’m so glad you enjoyed this one…it’s one of our favorites, too. (And it’s especially one of our favorites this time of the year when the weather is finally starting to warm up!) I appreciate you sharing these tips, too. Cheers! Is it okay to use salted butter or would this not work out? Hey Ashley! You absolutely can use salted butter here. However, I always recommend unsalted butter when baking. Different brands of salted butter include different amounts of salt. Since there’s only 3 Tbsp of butter in this recipe, I think you’ll be totally ok using salted butter. I hope you enjoy this one as much as we do! 🙂 Happy Holidays! I made this pie and all I can say is wow!! I only wish I could post a picture of it.